The legend of Alfa Romeo started in 1910 when Cavalier Ugo Stella acquired the shares of Societa Italiana Automobili Darraq (Italian plant of a French car maker). Cars were produced in Naples, but the factory was later moved to Portella which is close to the city of Milan. By 1915, the factory changes its name to ALFA short for Anonima Lombarda Fabbrica Automobili which means Lombardian Car Factory and the last name of the entrepreneur Nicola Romeo, who took control of the company. Many talented Alfa Romeo designers have influenced the way other car makers design their products. 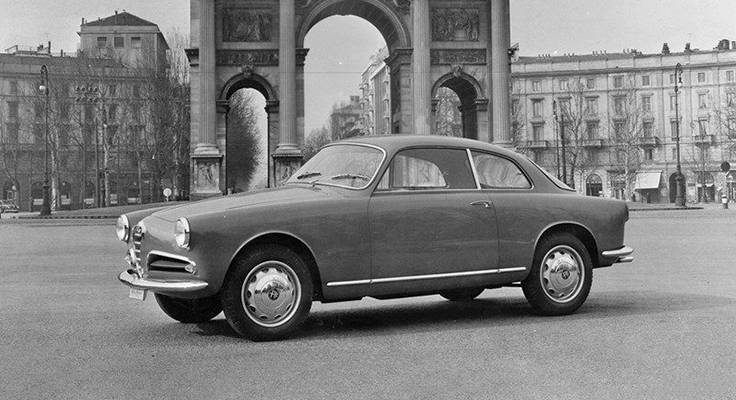 It began with Sergio Pininfarina who designed the first mass-produced Alfa Romeo, the 1955 Giulietta Spider. 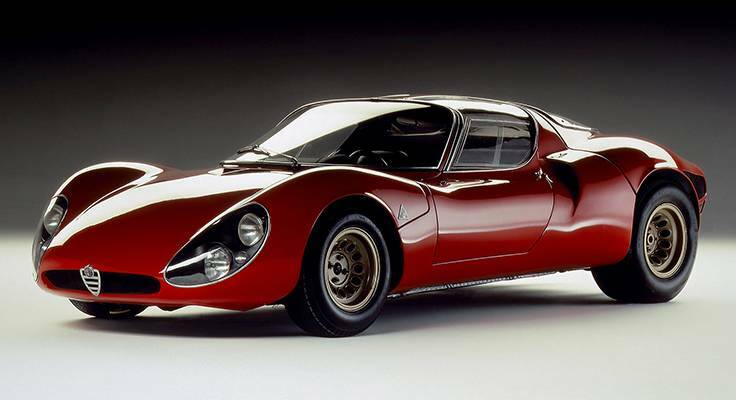 Others include Elio Zagato who designed the racing version of the Giulietta, the Giulietta SZ, which won two FIA Sports Car Championships for the 1.3 liter class and Franco Scaglione who created the legendary and beautiful Alfa Romeo 33 Stradale. Let’s not forget Nuccio Bertone who created the unique and ground-breaking design of the 1968 Alfa Romeo Carabo. 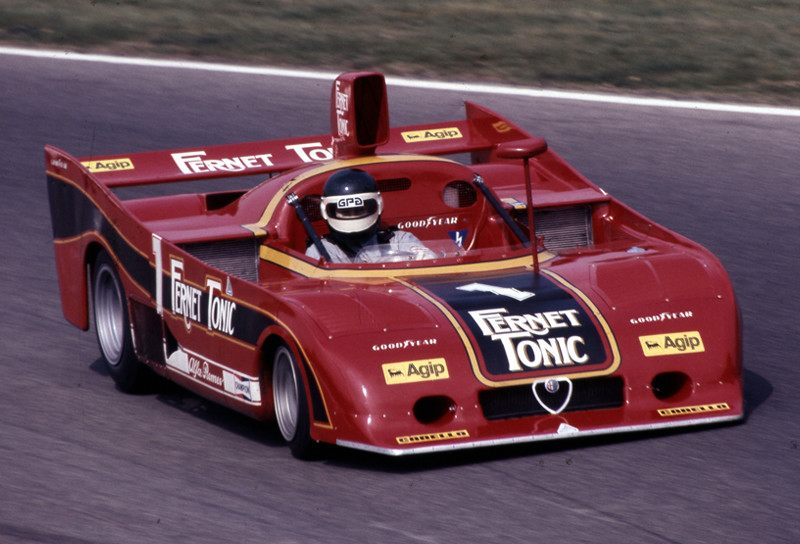 The Alfa Romeo brand not only has legendary designers, but a historic racing team. Notable drivers include Enzo Ferrari, Ugo Sivocci, Antonio Ascari and Juan Manuel Fangio. Ferrari (who later founded Auto Avio Costruzioni, ACC) brought in a new head designer Vittorio Jano. This head designer changed the way ordinary cars were powered. Jano developed small 4,6 and 8 cylinder engines inspired by P2 Grand Prix engine. This innovation will become an Alfa Romeo Trademark; engines made out of lightweight alloy with semicircular chamber, spark plugs placed in middle, two rows of valves and two camshafts. 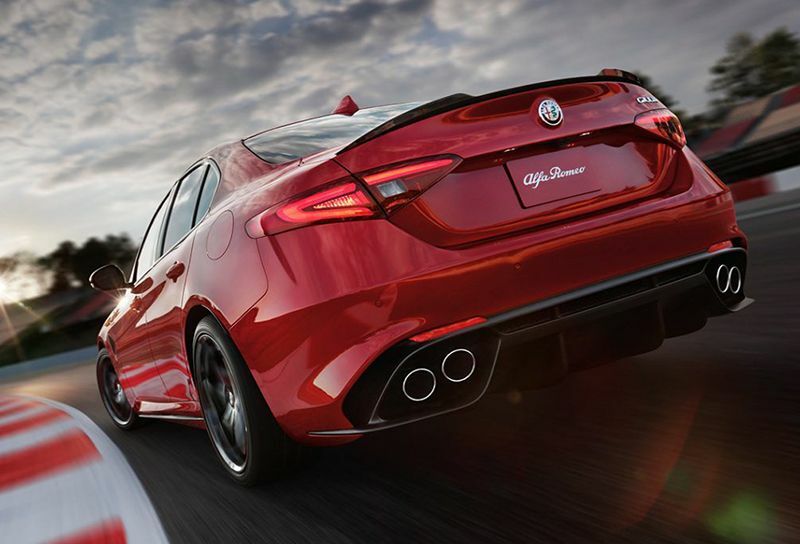 Since the very beginning, Alfa Romeo has been synonymous with proven performance both on and off the racetrack. With an innovative 8-cylinder engine and long wheel base, the 8C 2300 was up to the task of delivering Italy’s first win at Le Mans in 1931. Success continued throughout the next two decades, culminating in Alfa Romeo’s first Formula 1® World Championship victory at Silverstone, England in 1950. Earning podiums and victories across the German Touring Car and Italian Superturismo series in the 1990s was the iconic Alfa Romeo 155 V6 Ti — which also became a hit with buyers across the globe. Through its rich history, Alfa Romeo has introduced many industry firsts with innovative technologies that led to class-leading performance. 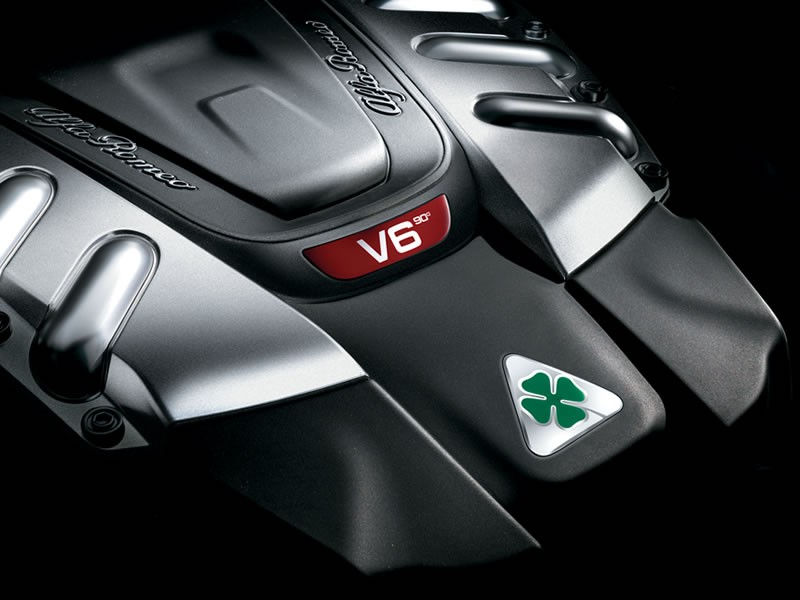 The Giulia Quadrifoglio continues this tradition with an all-aluminum 90-degree 2.9 liter Bi-Turbo V6 engine that produces class-leading 505 horsepower and 443 lb-ft of torque. The all-new Giulia and Giulia Ti captivates the seductive Italian design and is unmistakably Alfa Romeo. Today’s Alfa Romeo vehicles have the same philosophy — unique, Italian style with an efficient balance of power and weight. Two of the traditional symbols of Milan were chosen to make up the legendary Alfa Romeo badge – the cross of the municipality and the Visconti serpent, which were included on a disc with the lettering ALFA-MILANO printed around the edge. The two were divided by two Savoy-dynasty knots. 1910 – A.L.F.A. (Anonima Lombarda Fabbrica Automobili) was founded on June 24th, 1910. 1920 – The company is re-named Alfa Romeo, with the outside script modified to read Alfa-Romeo Milano. 1925 – Symbolizing the victory at the first World Championship, a golden laurel crown is added to the badge. 1946 – During the war, machines which produced the badges were destroyed, leading to the creation of a red single-color version of the badge. 1950 – With the proclamation of the republic, the Savoy-dynasty knots were replaced by two wavy lines and the badge restored all of its color. 1972 – The word “Milano” and the wavy lines are removed. 1982 – The laurel wreath is removed and the diameter of the logo is increased. Formal elements of the badge and colors are redesigned with the simplification of the serpent and re-composition of the Alfa Romeo script in the Futura typeface. 2015 – Measured with precision, the new Alfa Romeo badge is unveiled to perfectly match between geometry and proportion. Two different tones of gray blend together in a three-dimensional contrast of illuminations and shadows.